March Mondays! Welcome to them, friends. We're going to make them grand. How was your weekend? My oldest daughter had the experience of her first Reconciliation on Saturday, and she was so excited to feel "lighter" afterwards. Other than that, ours was a pretty lazy weekend with errand-running and movie-watching topping off the excitement. This amazingly simple step will keep your tulips blooming for extra days... and you likely have what you need at the bottom of your purse. 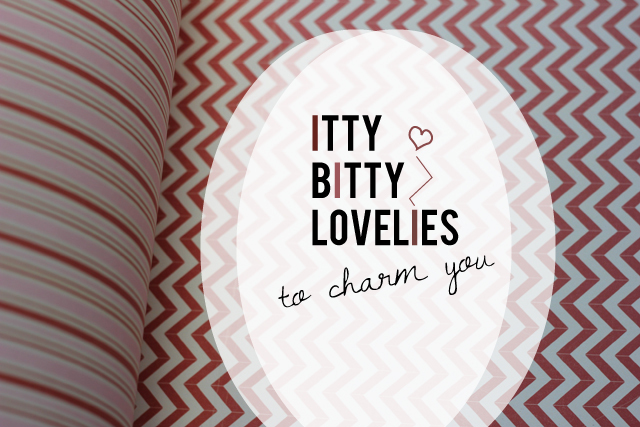 Pop on over to see what the ladies over at Sweet Lulu have to teach us. Victoria from A Subtle Revelry posted a nice tutorial on dying twine on Mint's blog, Julep. Everything we need to change inexpensive twine to something much more fabulous is sitting in our kitchen cabinets! Ack, so easy and charming, too. Pair some of this fabulous twine with kraft paper for a classic look. Kendra shares such a cute storage solution that pairs twine (yes, let's use some of the beauties we just dyed) and cotton drawstring bags. It is so darling, in fact, I consider these final product good enough to gift! Check out her simple solutions and follow along with her new organizational series over at Piece of Cake/Peace of Mind. Here's what I'm finding really charming these days: work date nights with my hubby. Say what? Yes, really. In the last few weeks, my hubs has taken me on quite a few work dates to great local restaurants, and I've had the pleasure of seeing him through his coworker's eyes. He's incredible at what he does, and I kinda fall in love with him all over when I see him in his element. Extra bonus: all of these meals have been delectable! Am I crazy or do you, too, enjoy seeing your loved one in work mode? Here's to a great first week of March.